Lillian Rosalie Keller, 88, of Newton died on Friday, September 14, 2018, at Skiff Medical Center. A funeral service will be held at 10:30 a.m., Thursday, September 20, at the First Baptist Church in Newton. The family will greet friends from 5-7 p.m., Wednesday, September 19, at the Wallace Family Funeral Home and Crematory. Memorials to the First Baptist Church or Willowbrook Adult Daycare may be left at the church the day of the service or at the funeral home. Rosalie, the daughter of William and Emily (Pearce) Deemer, was born on April 17, 1930 in Decatur. She grew up in Grand River and graduated from Grand River High School. After graduation she worked as a rural school teacher. On August 16, 1950, Rosalie was united in marriage with Jack Keller in Grand River, where they would make their home until 1957 when they moved to Newton. In Newton, Rosalie worked at Coast to Coast, as a bookkeeper, and as a substitute mail carrier for 10 years. 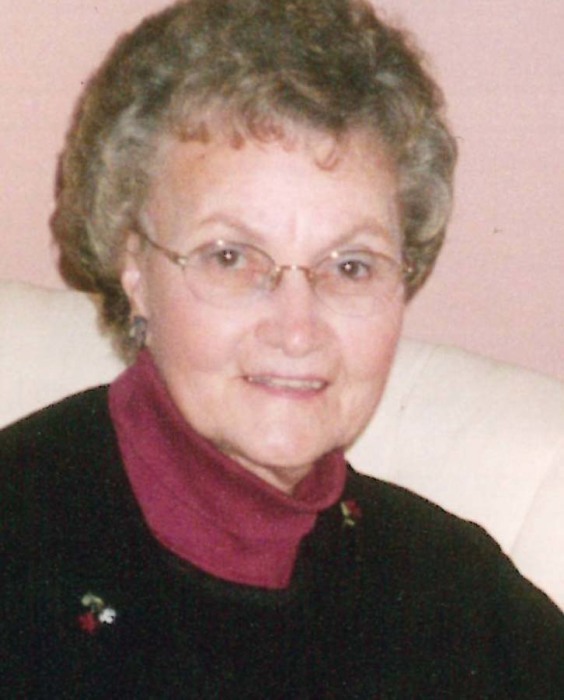 Rosalie was a former member and Sunday school teacher at the Baptist Church in Grand River and an active member of the First Baptist Church in Newton serving on various committees and boards including the Sunshine Club and the Ruth-Naomi Circle. She was a volunteer for the United Way and RSVP and liked going to Cowboy Church. Rosalie enjoyed crocheting, making quilts, cooking, doing puzzles, and going on walks. After Jack’s death in 2000, Rosalie and her sisters loved to travel together. Rosalie is survived by her three sons, Monty (Sandy) Keller of Spencer, Marlin (Jolinda) Keller of Newton, and Mark (Jill) Keller of Oskaloosa; grandchildren, Cameron (Nicole) Keller of West Des Moines, Lindy (Adam) Van Dike of West Des Moines, Talia (Matt) Koons of West Des Moines, Jeffrey (Danielle) Keller, of Bentonville, Arkansas, Crystal Keller of Grand Forks, North Dakota, Celeste (Casey) Clay of Maplewood, Minnesota, Justin Keller of Norman, Oklahoma, and Kayley (Dustin) Petersen of Scottsdale, Arizona; her 12 great-grandchildren; sisters, Helen Wehrle and Wilma Messina; and many nieces and nephews. She was preceded in death by her parents; husband, Jack; eight brothers and sisters; and a special friend, Del Pfeifer.